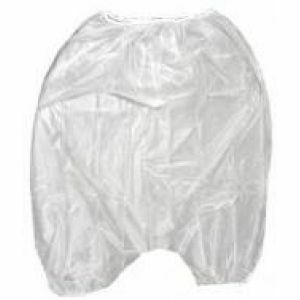 Plastic undergarments contain the leakage of body fluids in edema, decomposing and trauma cases. This soft vinyl undergarment has heat sealed and reinforced seams for additional strength. The softness of the material makes it unobtrusive when covered with clothing. To avoid damage to the garment when fitting select next size up.